and here is FIFA's focus on Merthyr Town FC, filmed only a few weeks ago. I've posted these here to show the diversity of our club and also to give a little understanding of how the club is a little different to many Non League clubs. The club has changed itself in the past 7 years and the former board struggled with many aspects of the transformation. These struggles find us in our current precarious position. The Club is at a crossroads where the next few weeks could see the Martyrs implode due to the pressing tax demands, or the new board can galvanise the supporters and its partners to complete the vision of creating the finest community club in Europe. We must continue to 'Fight the Good Fight'. The Park View Martyrs, aka PVM, is a group of like-minded Merthyr Town FC supporters who use the Park View public house on Brecon Road in Merthyr Tydfil as a base. The pub was used by Merthyr Town supporters generally whilst the Candac Bar at the ground was being transformed into Webley’s Bar. The welcome from the landlord Mansel in those exiled days was so good though that many fans decided to continue to use the pub on match-days especially as the new sports bar at Penydarren Park did not live up to everyone’s expectations. So why stay at the Park View? The probable answer is the atmosphere. It’s a small pub so on a match-day it’s usually packed with Merthyr Town fans, enjoying the cheap beer and of course listening to some great tunes on the famous jukebox. In short it’s everything that Webley’s was supposed to be and isn’t. There is a sense of ownership now by a lot of loyal Martyrs fans and a definite feeling of pride for the work being undertaken from this modest establishment. So what do we know of the current crisis at Penydarren Park? 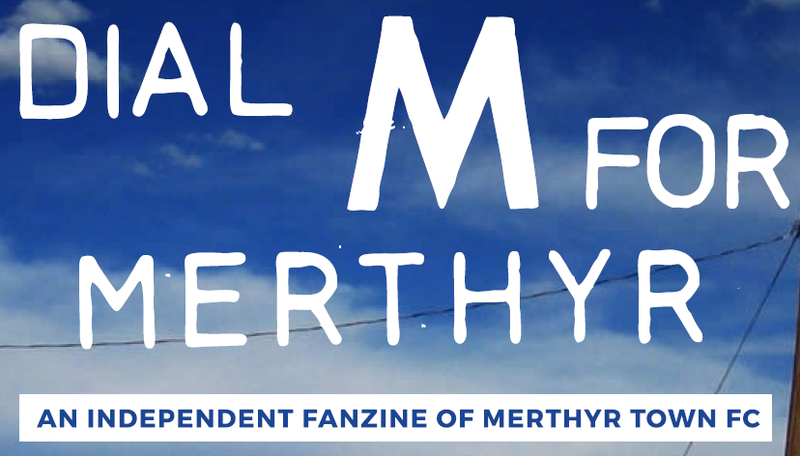 Not a lot really as the current Board still remain silent on the financial reality at Merthyr Town FC – we’re owned by the fans by the way so it’s even more frustrating. We've had a further 4 directors resign this week which makes 9 in twelve months, it’s hard to keep tally so I may be wrong there but I’m sure we’ll have 4 more friendly faces co-opted to agree with the Chairman very soon. Any debts though will surely be due to the simple failure to tackle the issue of no income but increased costs (mostly due to staff) at the amazing new facility. We’ve covered the lack of fan engagement many times so why bother again? But are we really employing someone to set up events such as Bands at the ground when our town has more musical talent than at any time in our history?